Texas Biker Radio - TBR News Comment - Women Power At All For 1 R&P? We've noticed a trend at All For 1 R&P FB page. Right now about 75% of people that are joining the page are women. First of all let us thank you and welcome you. There could be a couple of explanations for it, like they may be joining for those who cannot? Maybe their biker husbands or boy friends do not want to expose themselves online for whatever reason. 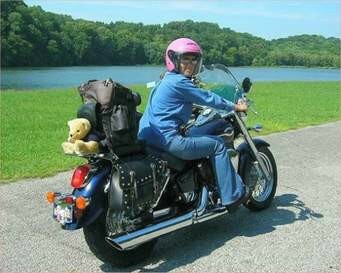 Then again there has been a tremendous increase in women bikers, gotta love it! We also know a lot of law students join All For 1, some have done a little research for us too. This is how we know Waco DA and company are the butts of every law school joke in the country. ​Women can be the most organized and aggressive of any political movement. I've seen it time and time again, the most recent was the Arlington Mayors race & Red Light cameras, for the most part one woman organized and got rid of both.